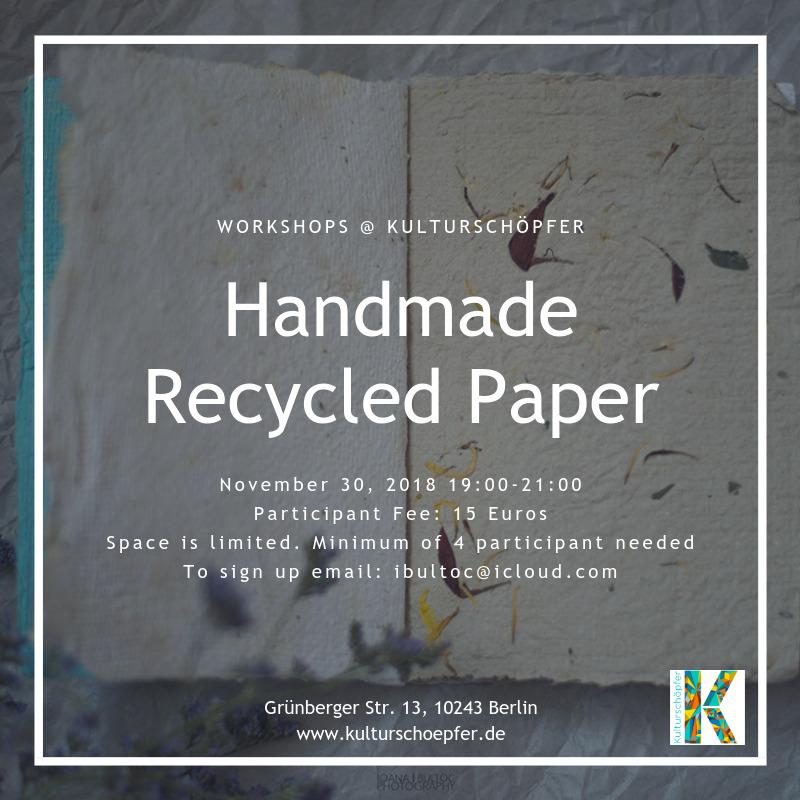 This workshop is a great way to put in practice your creative side, have fun and why not create a greener more sustainable planet. *If you have used sheets of paper at home we encourage you to bring them and recycle your own waste ! Places are limited and we must have four participants for the workshop to take place.